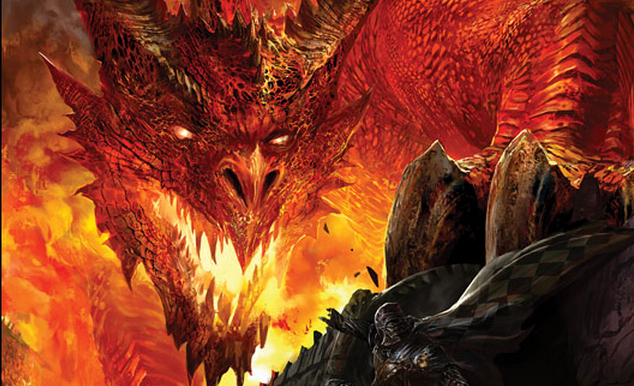 Any person who has even a passing interest in Dungeons & Dragons has likely found the past week to be very exciting. A new edition of the original role-playing game will be coming out next year. Several signs pointed to this happening, from the obvious (the hiring of Monte Cook) to the less conspicuous (the folks at D&D headquarters playing through all editions of D&D recently). Still, coming so soon on the heels of 4th Edition, it’s a bit of a surprise that the cycle will begin again sometime next year. The cynical among us think that a new edition a mere five years after the previous edition was launched is just a money grab, with Wizards rolling out shiny, expensive new editions of the Player’s Handbook, Dungeon Master’s Guide, and Monster Manual for us to buy. There may be a financial motivator, especially considering the rise of Pathfinder, a derivative of D&D that was uniquely positioned to take in disgruntled gamers when 4E was presented. The almighty dollar might be the motivation behind the new edition (be it called D&D Next, 5th Edition, whatever), at least in part. I personally disagree with that point of view. Wizards is definitely saying the right things this time around. It appears that they are genuinely interested in the opinions of all D&D fans, from the original white box down to 4th Edition Essentials. Feedback has been directly solicited in Monte Cook’s Legends & Lore column, which reads like a next-edition design journal. An open playtest is underway, with several notable bloggers already having their hands on the new rules. Believe me, I’d love to be attending the D&D Experience later this month, so I could check it out myself. But since I’m not in the playtest, nor headed to Indiana in a few weeks, all I can do is present what I believe are the keys to a successful new edition. First of all, D&D Next must embrace the grognards. The Old School Renaissance is in full effect, with dozens of blogs dedicated to the golden age of the hobby. 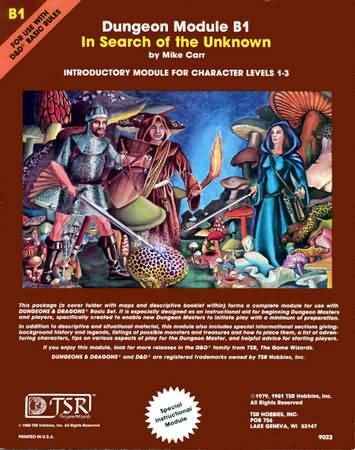 Thanks to 3rd Edition’s Open Game License, retro clones in all varieties have sprung up, catering to fans of every era in D&D’s history. Obviously, there is a group of people out there who are craving “new but old” content for their games and campaigns. The folks at Wizards have done very little to embrace this niche of the audience. In fact, they have ignored or more often been at odds with them. Nowhere is this bias more apparent than the lack of digital distribution of the D&D back catalog. As I understand it, many such products were available for purchase at one point, but Wizards decided to pull them off the market several years ago. This shows a shocking lack of insight. With the rise in popularity of the iPad and other tablets, it makes even more sense to release these gaming gems from the past in electronic form. Finding copies of the originals can be very, very expensive on Ebay or other secondary markets. I know there are dozens of books I’d like to have available on my iPad or Kindle, to read for nostalgia’s sake, if not use in my game outright. The Gazetteer series, covering the different nations of the world of Mystara, comes immediately to mind. I would love to run a campaign based in the Grand Duchy of Karameikos once again. What old school D&D player wouldn’t love to digitally flip through Expedition to the Barrier Peaks or Tomb of Horrors? Opening the vaults and making them available online for a reasonable price would generate a tremendous amount of goodwill and interest from the OSR crowd. Second, the promise of a modular, customizable D&D Next must be fulfilled. This is important, and definitely intriguing from a design standpoint. A robust yet flexible backbone holding the new system together is a must. Wizards must absolutely nail this one, and make sure they get it right the first time. There can’t be a situation like 4E/Essentials, where the can of worms can’t quite be shut again. If the designers can come out of the gate strong, with a buffet-style set of rules, where you can choose what you like, and ignore what you don’t, then D&D Next could be the greatest version of the game ever. That’s a tall order, though, and it may be that being all things to all people won’t end up appealing to anyone, making D&D Next a failure. Some DMs like a light rules set, which gives them the power to adjudicate as they wish. Others enjoy complex systems, where there is a rule for everything, and no guesswork is required. Tactical combat with miniatures or tokens is appealing to some, while it turns off others. By building a framework of terminology (AC, hit points, ability scores) and an intuitive set of rules to extrapolate from (die roll + modifiers > target), I think it can be done. Emphasis must be placed on inclusion of all different types of players and DMs. When rules are presented as options, it makes a huge difference. 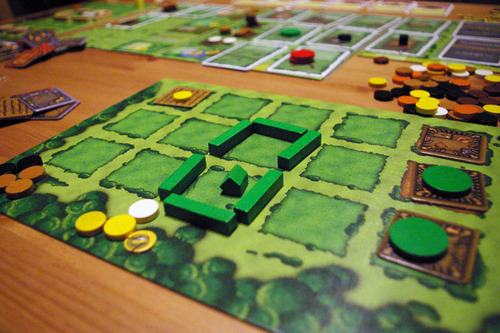 An example from the board game world would be Agricola. There is a “family version” of the rules, with no random elements, and slightly simpler options. The normal version uses cards with special player powers, and though the rules are much the same, the game plays quite a bit differently. Both are equally valid ways to play, and use the same bits and pieces; they are just different from each other. This is exactly what D&D Next needs in order to meet the lofty goal of being something players of all previous editions will enjoy and find worthwhile. The more I think about the possibilities that a new edition of D&D provides, the more excited I get. I enjoy 4E, as it was what got me back into the hobby. But it is a bit too rules-heavy for my taste. I’ve tweaked it into something I am more comfortable with, but there’s always that nagging doubt that I’m not running the rules as intended. If D&D Next provides me lots of valid choices as to how to run my game, each of which are accepted as “real D&D”, then I will love it. This, along with releasing the back catalog digitally, with the original and revised stats side by side, will make for an edition of Dungeons & Dragons that will put an end to version wars, hopefully forever. Previous Did Cartoon Tiamat’s Design Influence the Look of Modern Dragons? End of version wars? Not a chance.